GERSTEL is a family owned company founded in 1967. Its focus is on developing and producing systems and solutions for chemical analysis. Our main emphasis is on automated sample preparation for Gas Chromatography / Mass Spectrometry (GC/MS) and Liquid Chromatography / Mass Spectrometry (LC/MS). No other company has a bigger tool box of sample introduction and preparation techniques available (many of them patented). 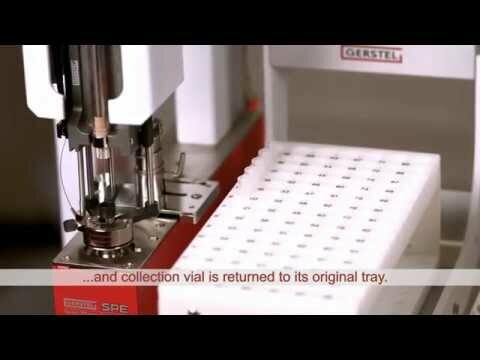 GERSTEL can provide complete "turn-key" solutions that include either a GC/MS or a LC/MS with integrated software control. The innovative MAESTRO software enables intuitive control and flexible, efficient operation for R&D or routine laboratories. Your daily analysis tasks are set up using just a few mouse-clicks. GERSTEL is a German based company with a global reach. With offices in the U.S.A., Japan, Singapore and Switzerland, and a global network of distributors, GERSTEL is able to deliver and support our unique solutions world wide.